Direct Flight format - no connecting services listed. I'm pleased to continue adding carriers to AirTimes. 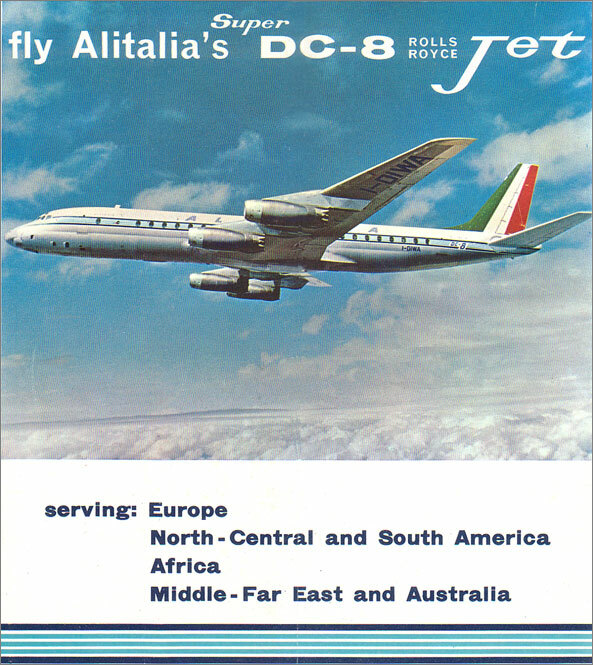 As with many other airlines such as BEA, BOAC, etc., this initial debut page for Alitalia requires much work. In particular, while I've added a number of Class 2 Regional Timetable editions, this list will likely change and evolve in the coming months. As many of you know, I've been re-organizing my collection over the past few years... In particular, this involves matching three decades of notes with the original timetables filed away in so many boxes. And, yes, I very much appreciate advice, suggestions and additional dates. Sometimes there is a lengthy interval between your advice and my action. Your patience is appreciated! AirTimes is a wonderful hobby - but, I still have to go work every day!